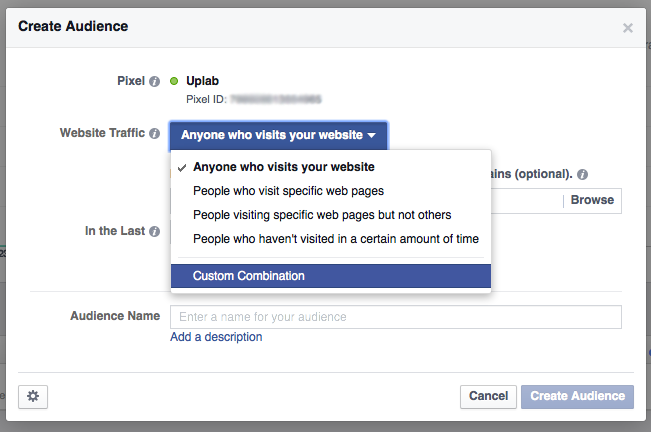 If you’ve ever tried Facebook advertising, you’re more than likely aware of the very real, and important requirement to use your pixel – a short piece of code that is placed on every single page of your website to keep track of website hits coming from your Facebook ads. But for many online businesses selling direct to consumers, there is another level of reporting required from your ads. That is, how much does it cost me to acquire a new customer and which of my ads are leading directly to a purchase. 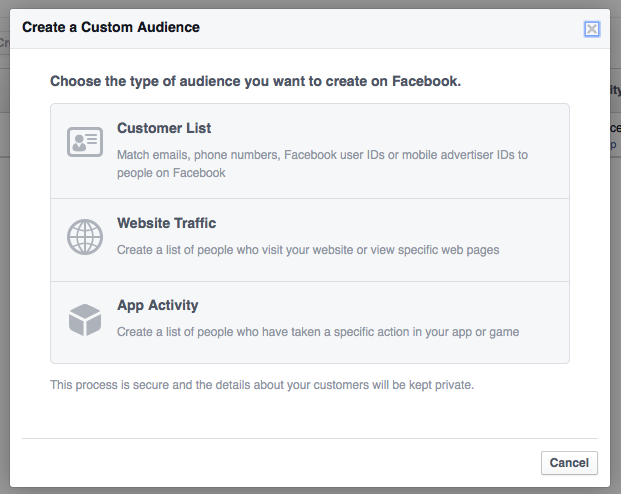 Knowing this information is crucial if you want any kind of success from Facebook ads as it allows you to optimise and test ads out accordingly. 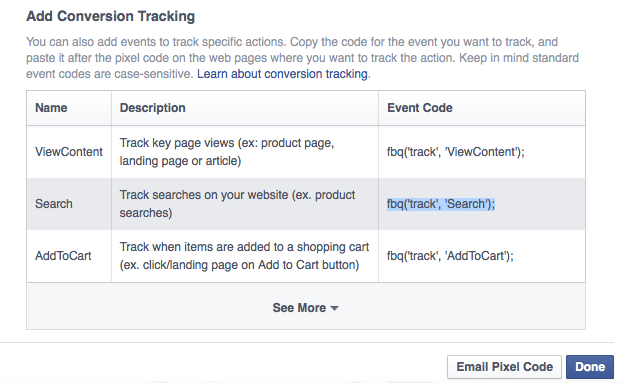 There are two ways to track sales made on your site from your Facebook ads. The first is call Custom Conversions and the other is done through Standard Events. 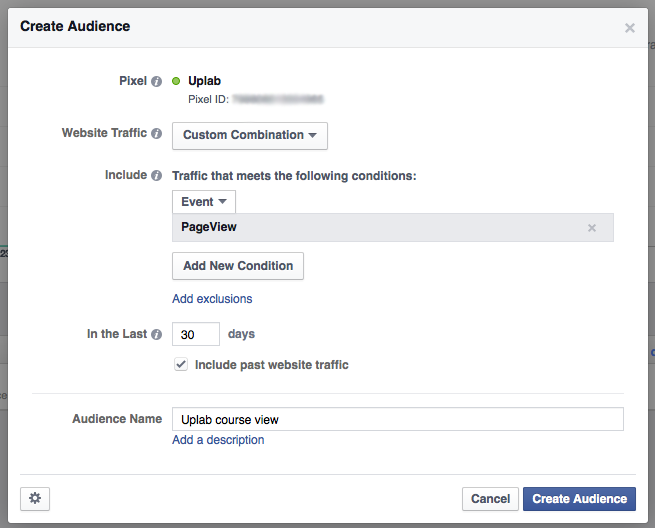 Without causing too much confusion here, just know that only Standard Events allow you to retarget people that made a purchase (ex: if you wanted to cross-sell or up-sell) and create Lookalike Audiences. So, for the purpose of this post, we will be exploring Standard Events and how to set these up. Once you have accessed the Pixel tab in ads manager, select View Pixel from the Actions Drop-down. 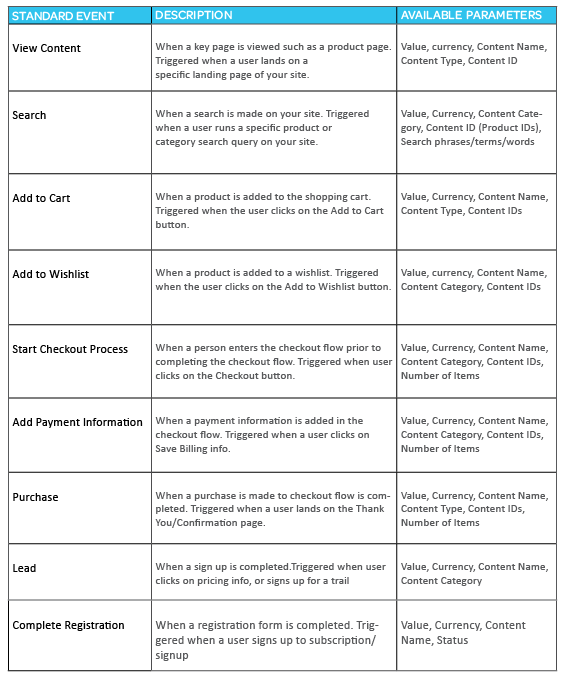 Below the Add Conversion Tracking you will see nine short codes, these are the nine available Standard Events. Copy the one you would like to use. For example, if you are tracking people submitting a contact us form you could use Lead here. There are two important things to bear in mind when you’re pasting standard events to your site: where to insert the code on your site, and what pages on your site you place it on. You want to place the standard event before the closing </script> tag within the base code (see the screenshot below). This ensures that the pixel will track the correct behavior or actions. You also have the option to change the values. 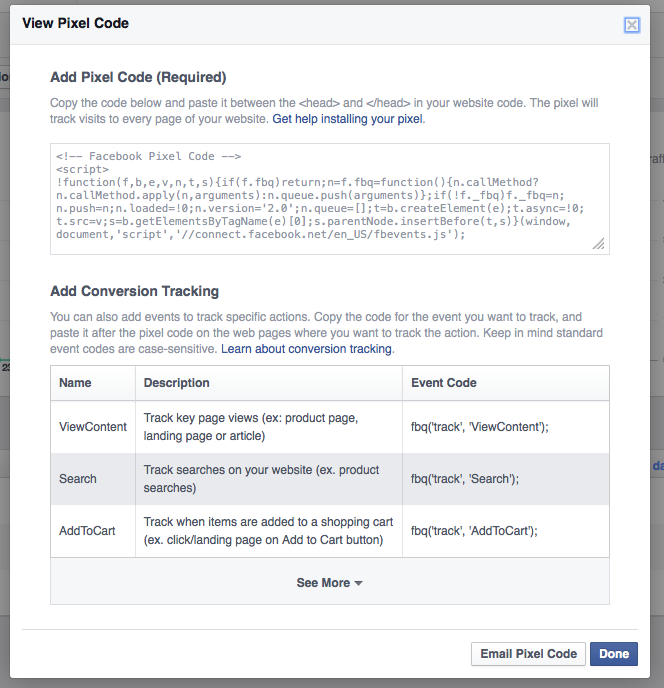 Only place the code on pages that correspond to the event that you’re tracking. For example, if you’re tracking purchases, only add the code to the pages where purchases are confirmed (ie: the thankyou page). Access the PixelYourSite plugin from your WordPress dashboard. Select Standard Events Setup from the top. 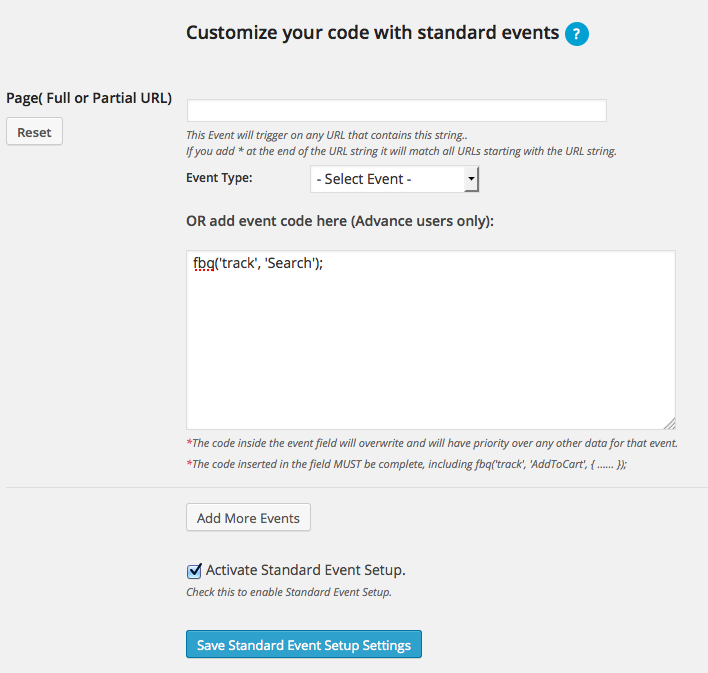 Paste in the Event Code and click Activate Standard Event. Click Save. To see if your Standard Event is working properly, simply head back into the Facebook Pixel tab, select Standard Events from the bottom, your events will all be listed here. 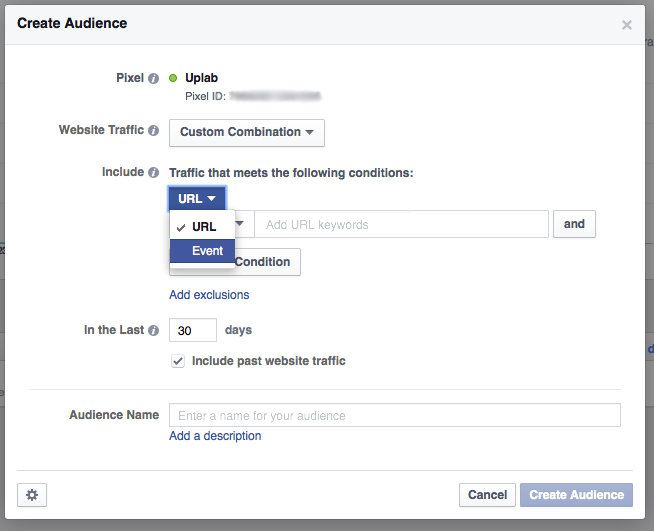 You should see a green button next to correctly installed events – please allow up to an hour for Standard Events to show up once installed on website. Select Custom Combination from the drop-down. Select Event from the URL dropdown.